We were going to talk about promotion and relegation. Really. We just didn't get around to it. Dan and I have been talking soccer online for a couple of decades, and we've been accused of being shills for Major League Soccer and U.S. Soccer. And we've been accused of being the same person. We submit this podcast as proof that we're not, though someone will probably figure I just recorded both voices and spliced it together in Audacity, like the inverse of Jim Henson and Frank Oz teaming up to be the Swedish Chef. And THAT, we talk about. We also trip down Memory Lane to remember a coven of soccer bloggers and journalists, along with MLS Cup 2009. And we talk about soccer hipsters. But you have to listen to the end to hear the Dave Chappelle joke. And the nice tidy ending. You can’t fix luck. But can you rethink things? Can you find holes in what you’re being taught? Why do people who follow the rules always lose? If you hurl a bag of balls, cones and pinnies off a cliff, does it make a sound? One thing we all know but becomes more vivid when you become a referee: We need more referees. A funny story or two from a long weekend on the field illustrates the point. How's the new "Play/Practice/Play" model working? Probably not as well for me with the number of kids I'm coaching. That's the first topic here. Then it's funny reffing stories. I get to USSF coaching education arrogance around the 18-minute mark, and then I defend Jason Davis and Nipun Chopra against the NASL's spinning efforts. Finally, a reminder to get moving if you want to run for USSF VP. Personal news: I'm boycotting Twitter over the Alex Jones situation and related misdeeds, and The Guardian has just posted my story on Carlos Cordeiro's first six months. Youth soccer news: What can Cordeiro's task force do to stop the insanity? New format for the pod! Today’s topics are the new U.S. Youth Soccer chairman (with some discussion of USSF president Carlos Cordeiro), WoSo and feminism (with some discussion of Hannah Gadsby), and some RSD content updates. Soccer writer Kyle Williams joins the podcast this week to talk about promotion and relegation, proving that we can talk about such things without bloodshed. Nathan Richardson, co-author of Shoeless Soccer, joins the podcast this week to talk about the radical yet somewhat globally accepted ideas in his book. Basically, instead of turning soccer into an expensive coach-driven activity, why not let kids learn by playing? And maybe on hard surfaces so they'll learn to control the ball instead of booting it? This conversation should give us all some ideas for how to reform youth soccer, even if you don't agree with all of them, and it should put the term "rec mindset" to bed once and for all. We all start as rec players, and in many cases, that's where we (well, not me) learn the things that make us better players down the road. We ran rather long, so this will be a two-parter. Practice plans mentioned in the podcast are at http://www.mayouthsoccer.org/coaches/u14/ Thanks as always to Patreon supporters, and keep an eye out for RSD merchandise available soon. 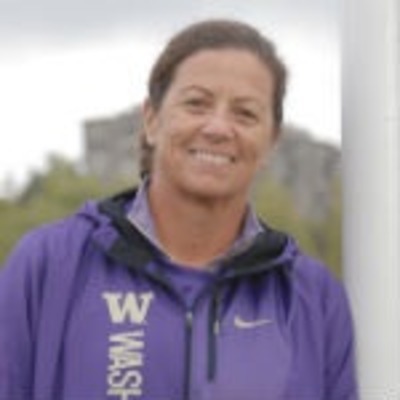 Lesle Gallimore has been head women's soccer coach at the University of Washington since 1994, and she's the current president of United Soccer Coaches. In this conversation, we talk about how college coaches adapt their recruiting to the new "elite league turf war" environment. And we talk about how players adapt and whether they *can* adapt. For example: Could Gallimore's most famous player, Hope Solo, work her way through the system today and be discovered? Coincidentally, Solo made a lot of news this week, and I discuss that before the interview (which was recorded before all that news happened). The Gallimore interview starts around the 10-minute mark. Dennis Crowley didn't just start a soccer team. 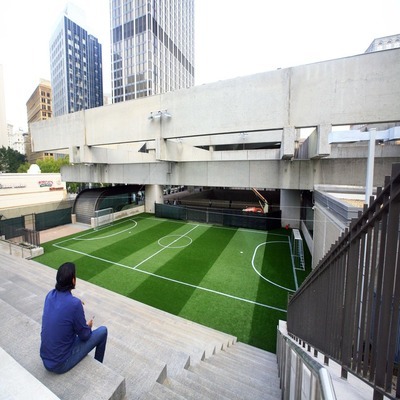 He created a laboratory for "open-source soccer." 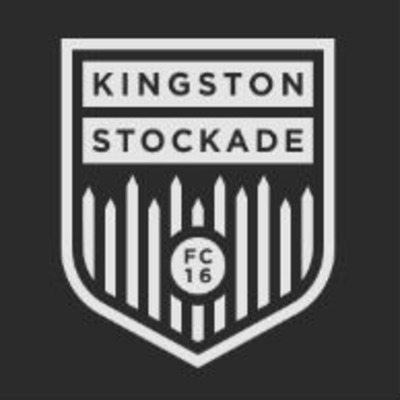 He shares business and financial info on his NPSL club, the Kingston Stockade, on Medium. And though Kingston might not be the likeliest market to have a club that would climb an open pyramid to Division I, he has become one of the most thoughtful (or reasonable, if you like) advocates of promotion/relegation. In this conversation, we talk about the challenges of putting together a pyramid in the lower divisions. Yes, there's more than "U.S. Soccer stinks," though he argues the federation could be doing more to facilitate change and stability. And at the end, he shares his experience of seeing the Stockade make their Open Cup debut. It’s a futsal/grassroots doubleheader! After a brief intro (no full rant this week), you’ll hear from Leslie Hamer, who works with futsal at every level from the grassroots to the pros. She has been getting futsal into New York City public schools and now into colleges. 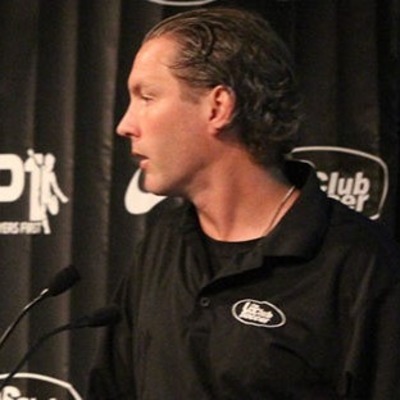 Next up: Jason Longshore, whom you may know as a commentator on Atlanta United games but has spent much of the last 12 years working with Soccer in the Streets, an organization that brings soccer (or futsal -- whichever makes sense for the available facilities) to underserved communities and schools. You may know them from their effort to put a small soccer field at a MARTA (local transit) station. 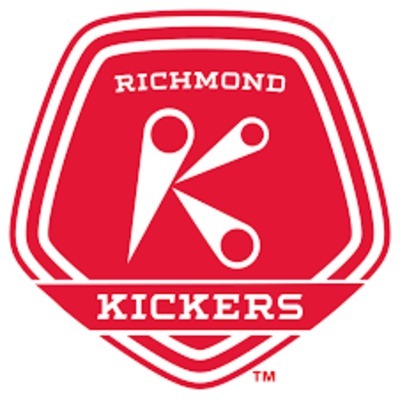 After today’s explanation of the upcoming Guide to Youth Soccer (3:00) and a rant about promotion/relegation (4:15), my guest (12:30) is Doug Wood, executive director of SAY (Soccer Association for Youth). He starts by explaining what SAY does -- mostly recreational soccer through several different entry points, including schools. SAY isn’t the most top-down organization out there. Its leagues and clubs sometimes have diverse approaches. Sounds a little different than the U.S. Soccer mandates, doesn’t it? Along with U.S. Youth Soccer, U.S. Club Soccer, AYSO and USSSA, SAY is part of the Youth Council Technical Working Group, which sprung up in response to those mandates. We talk about whether that’s making a difference (26:00). Today’s guest has an impossible task: Make me feel better about youth soccer, and soccer in general, and youth sports in general … maybe just life in general. But she’s faced tougher tasks. She’s Julie Foudy, Hall of Fame soccer player and ESPN journalist. 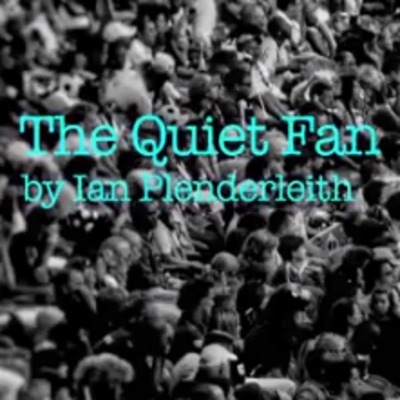 After I make an announcement and then rant about curling commentary, the interview starts around the 13:20 mark with a discussion of what’s good about youth soccer, whether soccer can have the same supportive atmosphere of extreme sports (20:30), the lack of women in coaching (26:20), her experiences as a soccer parent (31:20) and then U.S. Soccer politics, including the role of the Athletes’ Council (40:10). She also talks a bit about the U.S. women’s team heading into the SheBelieves Cup (51:10). No interview lined up, so what's the rant this week? How the United Soccer Coaches convention in Philadelphia might help us reset the hostility-to-substance ratio in the presidential race. Who I would NOT endorse for U.S. Soccer president, based on what I know now. (The answer is NOT Eric Wynalda, which I know might blow the minds of some folks on Twitter.) Why Riccardo Silva’s tweet about promotion and corruption was irresponsible and inaccurate. (He’s welcome to chat with me or simply tweet again to explain, clarify, etc.) https://twitter.com/_Riccardo_Silva/status/948324499631558658 A bit of U.S. Soccer voting history. If you want to skip Beau's rant on the good and bad of US Club Soccer, Sunil Gulati and Twitter, skip to the 15-minute mark. That's where you'll find the interview with Paul Lapointe, one of the first candidates to declare his intent to run for the U.S. Soccer presidency. We talk about promotion/relegation, the role of the president, equal pay for the U.S. women's team, women's soccer promotion/relegation/Open Cup, the fragmented world of futsal, the fragmented world of indoor "balls and walls" soccer, youth soccer and coaching. All in less than 45 minutes. Eric Wynalda has played in multiple World Cups, Germany, MLS, etc. He's been a successful coach and commentator. Yes, we talk about promotion/relegation. In fact, we did it first just so you single-issue types can listen and then bail out. If you want to hear about EVERY issue facing the next USSF president -- well, we got to maybe half of them. There are lot of issues. In rough order, we talk about: 1. What's different or similar between the concerns of the Twitterati and the concerns of the typical state or national association. 2. Whether people are nervous to speak up about the USSF power structure. 3. Women's soccer: The new collective bargaining agreement and the NWSL. 4. Youth soccer: Has the federation done too little? Too much? Jef Thiffault is the managing director for the NPSL, an elite amateur league that's been sometimes pulled into promotion/relegation discussions. But he used to work for MLS and SUM. Mind blown yet? It's actually an encouraging discussion that gives the impression that we have some smart people in U.S. soccer, toiling far away from the courtrooms and big-league boardrooms. And we might see a sea change in elite amateur competition that just might spill upward to the pros. Interview begins around the 10:30 mark after I give a long introduction and rant a bit about the NASL and so forth.